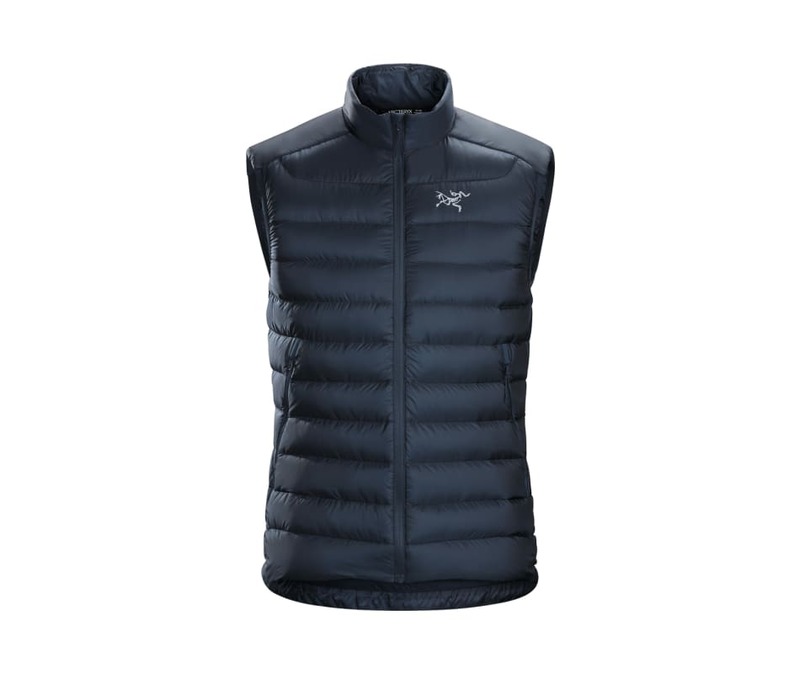 A minimalist down vest providing a high level of core warmth for very little weight, the Cerium LT performs as a midlayer or standalone in cool, dry conditions. Premium 850 fill down is resilient and warm, the Arato 10 shell provides lightweight durability, and Down Composite Mapping strategically places Coreloft synthetic insulation in moisture-prone areas. The trim fit layers easily under a shell, and the sewn-through construction further reduces weight and increases packability. &nbsp;As an alternative to down fill insulation, we also offer synthetic fill products, such as the Atom LT Vest. Redesigned to include an internal zippered security pocket with a stuff sack, an adjustable hem drawcord that seals out cold, and an improved fit with longer body length.